If you've been reading my blog for a while, you know I don't really cook at home and I mostly eat out. All the time. But actually I've been cooking at home a lot more, lately. I don't develop my own recipes, though, and I am cooking thanks to all those services that deliver boxes of pre-measured ingredients with recipes to you. I don't have to go grocery shopping and I can just follow the recipes. I've tried a lot of these boxes. Want to know which one to try? Well, there's a review of all the boxes I've tried and the pricing! Yes, for all these boxes, you'll get a cheaper price per meal if you order boxes for 4 instead of for 2, but as a comparison, I'm showing you the prices if you were like me and only order meals for 2. Price: $9.95 per serving for most meals with 2 servings/meal minimum. Free shipping with $40 order. 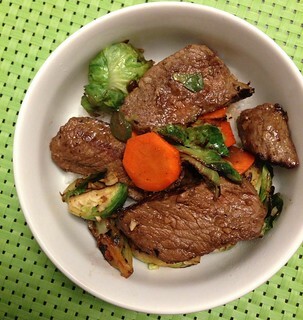 Review: Blue Apron used to be the cheapest option, but now Home Chef is. They also let you choose your own meals each week, which is a big plus for me. Right now Home Chef doesn't deliver everywhere yet, only 60% of the country so you need to check whether you live within the delivery regions. Pretty big selection of recipes each week, and they also have cheaper breakfast items to help you meet the $40 minimum for free shipping. 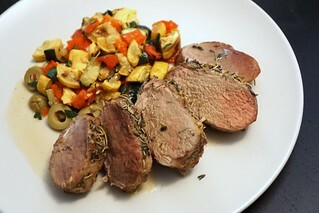 I thought their recipes and ingredients were of high quality - the herbes de Provence pork tenderloin (pictured) was my favorite! Read the full review here. Promo: two free plates on your first order on Plated (up to $24 value). Pro: Great recipes and high quality ingredients. You can choose your own meals. They've also recently added desserts! Cons: On the more expensive side, and the Chef's Table recipes cost more. I actually really like Plated, it's just that it's a bit more expensive than some of the others. They even have special recipes dubbed the Chef's Table now, which do all seem even more interesting, but they cost even more. I select my own recipes based on my taste and difficulty level (easy ones for me), so I know what I'm getting and am never disappointed. Their recipes are pretty easy but still interesting, I've learned to make many things I've never known before. They also substitute healthier ingredients for familar recipes. Promo: Keep an eye out for Gilt City or other deal sites. Pro: The cheapest, with interesting and adventurous meal options. The second cheapest plan (or the cheapest plan, if you don't live within the current delivery area for Home Chef). Con: You cannot choose the specific meals. They have omnivore or pescatarian or vegetarian boxes, but otherwise your meals are picked for you. I tried setting my preferences for all meats except for chicken (because white chicken meat is so dry when overcooked) but then I keep getting vegetarian meals when I do that. I think this is the most popular service, since it's not only the cheapest, but their recipes are more fun and adventurous. I've tried flavor combinations that sounded strange but were surprisingly good! One of my favorites was the blackened cod which was served with a red rice, epazote, avocado, and grapefruit salad with caramelized onions! I can definitely see why this is the most popular, although sometimes I wish I don't have to cut onions for every single meal. I love onions but they make me tear up. Pro: The next cheapest plan, and the cheapest one that also lets you choose your exact meals. 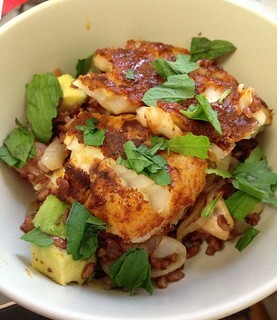 Pretty easy recipes that you can potentially replicate with ingredients that are easy to buy. Cons: Recipes are not as fun and adventurous as Blue Apron's. I've been using HelloFresh a lot as well. It's almost as cheap but I get to choose the exact meals. I can browse the menu the week before so I can decide whether I want to oder one and which meals to get. The ingredients are good quality, and they still offer some interesting and unusual recipes sometimes, for example, a shrimp saganaki. The produce they sent are fresh and the recipes healthy. The last one I had was a seared steak with chimichurri sauce on spinach and couscous salad. The recipes are usually pretty easy, and the ingredients are ones you can potentially buy one on your own. I still keep some old recipes in case I want to replicate them again. Review: This is the most expensive kit of all. The meals I made were good, but it was not as interesting as Plated or Blue Apron. Well, that's all I have to say about that. I tried it using the first order promo code, but after that it's too expensive given the other options I have. Price: $59 per week, 2 meals for 2 + snacks. If we assume snacks are the same as Plated's desserts, then the meals are about $12.75/meal. Pro: It's vegan (if that's your thing), and arguable the healthiest. The portions are pretty big, the pasta that I made can easily feed more than two people (in fact, it lasted me more than 3 days). Cons: Well, it's vegan and I'm a carnivore. Another issue I had was that most of the recipes required a food processor or blender. Review: The first thing that almost bummed me out was that most of the recipes required either a food processor or a blender. While other companies just assume you have pots and pans, this one assumes you have more ... Luckily for me, my roommate had a blender, otherwise that would've been a really expensive kale salad. That said, if you do have a blender/food processor, the recipes are pretty easy and fast to make. I had a pasta dish and a kale quinoa salad with strawberry vinaigrette (which I had to make in the blender). 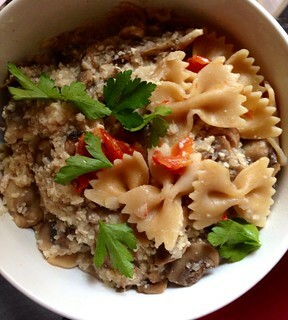 The creamy sauce for the pasta was made by blending cashews with onion and garlic. The snacks were raw, vegan, lemon "blondie bites", which were surprisingly tasty. 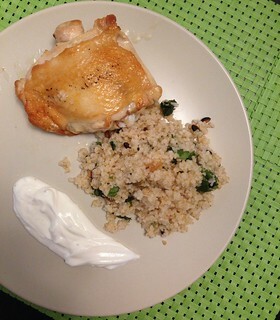 Conclusion: Before trying Home Chef, I thought Blue Apron has the best value and fun recipes, unless you're picky and need to choose your exact meals! BUT, if you live in one of Home Chef's delivery areas, Home Chef is definitely the cheapest option! Blue Apron has more inventive recipes, while Home Chef is more approachable, and lets you choose your own meals, so they win my vote - plus, I like that they let you add breakfast items to get up to that $40 minimum. My next best options are Plated or HelloFresh because of the meal choice flexibility and the quality of the recipes and ingredients. Fi, if you live in LA do you think this is applicable? Many cheaper quality food around.. don't you think?